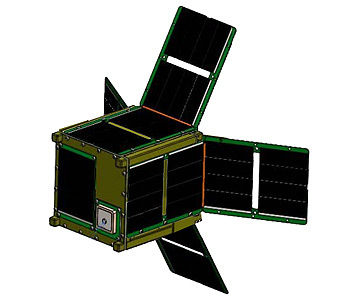 The WeissSat 1 is a 1U CubeSat mission by the Weiss School in Palm Beach Gardens, Florida, to validate a a Lab-on-a-Chip system on a nanosatellite. This technology demonstration mission is to collect and transmit sensor data, and validate a novel lab-on-a-chip system. The team will also develop a technology based on Live/Dead fluorescent dye staining approach and microfluidics to permit in-situ bioanalytical assessment of the viability of selected aerobic and anaerobic bacteria thawed out after different periods of being entrapped in water ice. It was selected in 2017 by NASA to be launched as part of the ELaNa program. The satellite was launched on Spaceflight Industry's SSO-A multi-satellite launch on a Falcon-9 v1.2 (Block 5) rocket.